The company is mainly engaged in manufacturing of biscuits and cakes. They sell their products under the flagship brand “Anmol”. In terms of revenues for the period between January 2017 to December 2017, the company has been declared as the fourth largest biscuit brand and the fifth largest cake brand. The company sells over 60 varieties of biscuits and more than 25 varieties of cakes. The company is also engaged in manufacture and export in over 20 varieties of biscuits for other companies. The distribution network of the company is spread across 17 states in India and their products are sold by more than 2500 local distributors. 6 manufacturing facilities of the company are located in the states of West Bengal, Uttar Pradesh, Bihar and Odisha. Anmol Industries is coming up with an IPO in the next few days and in this detailed review, we will see different data points and facts related to this IPO so that you can take a decision on whether to go ahead with the investment or not. Anmol Industries IPO will open on (undisclosed) and close for subscription on (undisclosed). The IPO size will be of (undisclosed) lakh Equity shares and the face value of each share will be ₹10. The price band has been set at ₹(undisclosed) – ₹(undisclosed) per equity share. The offer price includes a premium of ₹(undisclosed) and is (undisclosed) times the face value of the equity shares. The IPO size is expected to be up to ₹750 crores. The issue consists of an offer for sale of up to (undisclosed) lakh equity shares by selling shareholders. the rest (undisclosed) shares, aggregating up to ₹0.6 crores by Puneet Mercantiles LLP. The market lot size is of (undisclosed) equity shares and the shares will be listed on the Bombay Stock Exchange (BSE) and the National Stock Exchange (NSE). Pursuant to a resolution passed on September 12, 2017, and April 23, 2018, the offer has been authorised by the Board of Directors. The board of Trustees of the Promoter Selling shareholders gave their approval for the offer through a consent letter dated April 3, 2018. The partners of SKG Land Developers LLP, Delta Nirman LLP, Anmol Hi – Cool LLP and Puneet Mercantiles LLP also gave their approval for the offer of their equity shares through their consent letters dated April 3, 2018. The company has been showing continuous growth in total income, profits after tax and total assets for the last few years. However, the jump in revenues from ₹293.74 crores in fiscal 2016 to ₹1240.82 crores in fiscal 2017 is sudden and huge. This is a matter of concern and yet to be seen if the company is able to maintain such a high growth rate in revenues and profits. The return on net worth (RoNW) of the company for the nine months ended December 31, 2017, is 26.06% and for the fiscal years ended March 31, 2017, March 31, 2016, and March 31, 2015, is 39.19%, 43.34% and 49.41% respectively. The pre-bonus and post bonus net asset values per equity share for the nine months ended December 31, 2017, are ₹192.10 and ₹38.42 respectively. The pre-bonus and post bonus net asset values per equity share for the financial year ended March 31, 2017, are ₹148.03 and ₹29.61 respectively. The proceeds from the offer for sale of equity shares will be given to the selling shareholders. Any proceeds from the offer for sale will not be received by the company for its operations. Other than this, the company will also benefit in terms of enhanced corporate image, brand name and increased visibility through Anmol Industries IPO. If you are looking to invest in the Anmol Industries IPO, then you would need to know the exact dates on which specific events such as IPO opening, closing etc will occur. Now, let us discuss some of the greatest strengths and risks related to the business of Anmol Industries Limited. One of the biggest strengths of the company is its well-established brand name and good presence in terms of numbers in the Northern and Eastern parts of India. Since the company provides a huge variety of biscuits and cakes, they are able to enjoy the customer satisfaction of consumers of different preferences and tastes. Another major strength of the company is their strategically located manufacturing facilities in different parts of India. They are not only close to their consumer markets but also to the locations from where they procure their raw materials. The large distribution network has made it possible for them to sell their products to about 1.8 million retail outlets in India. From the financial point of view also, the company has shown good performance over the last few years. The company has promising strategies for further growth and expansion of their business. Now, let us discuss some of the major risks faced by the company. The future profitability of the company depends on the implementation of its growth and expansion strategies. If that does not happen in a timely manner, the company may be adversely affected in terms of decreased sales and profits. It is exposed to the risk of ever-changing preferences and tastes of customers. Companies’ dependence on third parties for the procurement of raw materials and supply of finished products to consumer markets are also another major risk factors for Anmol Industries. There is an inherent risk of injury or illness to consumers in the food industry. Any such reported injuries or illnesses can cause negative publicity for the company which may affect its future sales and profits. The company faces fierce competition from huge companies like Britannia, Parle, ITC, etc. The company is also exposed to the risk of labour related problems like strikes, work stoppages, etc. The company, its group companies, promoters, Directors, etc. are involved in certain legal proceedings and any adverse ruling in them may pose a risk to the overall profitability of the company. A considerable amount of revenues of the company come from their sub-brands, “Butterbake” and “Dreamlite” because of which the company’s profitability may suffer if there are any adverse changes in the sales of these sub-brands. Since the company is into business related to perishable items, it is also exposed to the risk of adverse effects on operating results in case of not managing the inventory levels in an effective manner. After analysing different aspects of the company, it may be said that investors need to remain careful and go through the Draft Red Herring Prospectus for further details about the company. 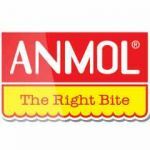 Investors may subscribe to the Anmol Industries IPO for the long term although the IPO may provide mild short-term returns on investments as well. In case you are looking to invest in the Anmol Industries IPO or stock market investments in general, let us assist you in taking the next steps forward. Currently, there are 8 Directors on the Board of Anmol Industries Limited. Biswanath Choudhary is the Chairman and Whole- Time Director of the company. He completed his Higher Secondary from West Bengal Board of Secondary Education. He has been a part of the company for more than 18 years and is responsible for hiring in eastern parts of India and looking after finance and investment for the company. Edelweiss Financial Services Limited, ICICI Securities Limited and Motilal Oswal Investment Advisors Limited are acting as Book Running Lead Managers to the issue. Link Intime India Private Limited is acting as the Registrar for the Anmol Industries IPO. Trilegal is acting as the legal counsel to Anmol Industries Limited, J. Sagar Associates is acting as legal counsel and Duane Morris & Selvam LLP is acting as Special International Legal Counsel to the Book Running Lead Managers.